Welcome to Atlantic Dental Associates. We are husband and wife Doctors Nathen and Juliana Head, providing dental care for every member of your family. Our office is located in West Ashley, SC, providing the highest quality of dental care to families of the Lowcountry. From dental implants, invisalign, and veneers, to fillings, crowns, and cleanings, we offer a full range of dental services to our patients. Find out more about our team, office and facilities, the services we offer, and information for new patients. Click here to take a short digital tour of our office! We offer SAME-DAY crowns and permanent aesthetic restorations using CEREC technology by Sirona. Take a look at the short video below to learn more. Same day crown being fabricated with CEREC's CADCAM technology. Milling a high quality temporary bridge that was designed using CEREC's CADCAM technology. One tooth done! Milling a high quality temporary bridge that was designed using CEREC's CADCAM technology. Two teeth done! Milling a high quality temporary bridge that was designed using CEREC's CADCAM technology. Finished product took about 16 minutes before it was ready to be delivered! This patient was unhappy with the darkened color of his front tooth. It was darker than this tooth (labeled "a"), due to trauma he had when he was younger. That very same day he left with a beautiful crown (labeled "b")! Designing a same day onlay with the CEREC system. "Before" image. Here is the restored tooth! This tooth was restored with a permanent crown-like restoration that is more conservative and less damaging than a full crown. Before photo of the prepared tooth. 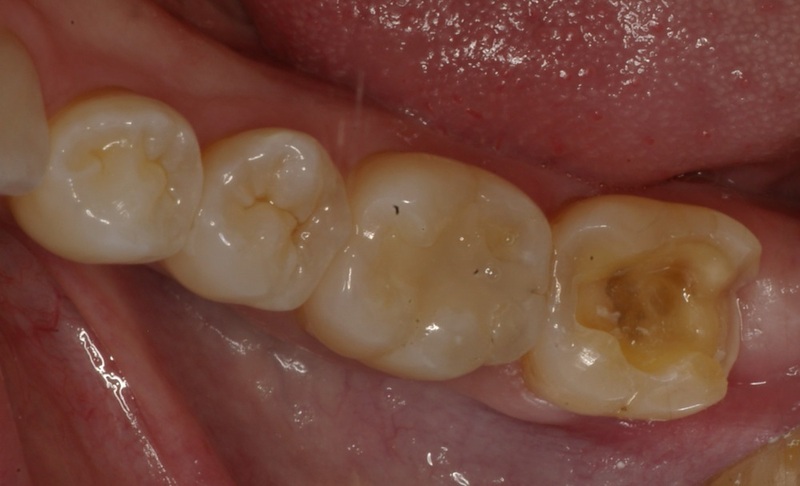 All of the decay was removed, but it would have been very aggresive to restore this tooth with a full crown. By utilizing our same day crown technology, we were able to provide our patient with a much more conservative restoration, an inlay. We can complete root canals in our office that can accommodate complicated root anatomy. We can complete root canals in our office that can accommodate complicated root anatomy. Notice all of the intricacies of the filling material at the ends of the roots. Dr. Juliana visited the James Island O'Quinn school to teach the "2's" class about healthy smiles and oral hygiene. The O'Quinn school "2's" class did a craft to re-enforce healthy oral hygiene habits. Drs. 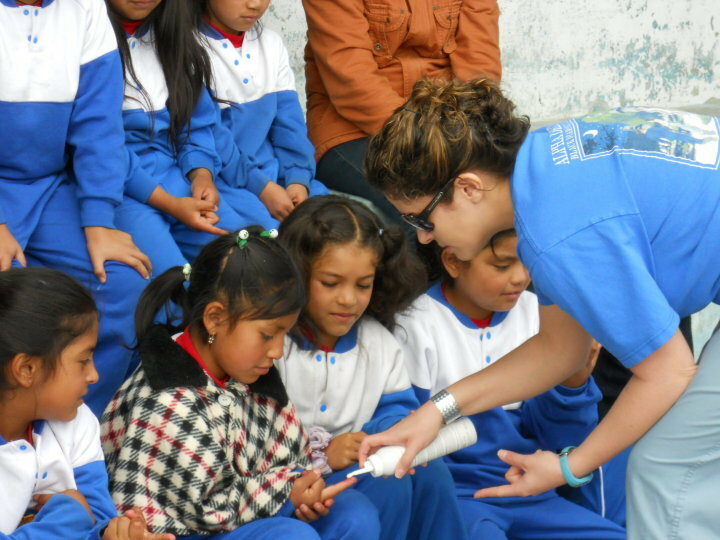 Nathen and Juliana Head participate in local and international dental care trips for those in need. Drs. Nathen and Juliana Head participate in local and international dental care trips for those in need. Here they are with a portion of the dental team for this trip to Ecuador. We are located at the corner of Tobias Gadson Blvd and Paul Cantrell Blvd in West Ashley. We are in the 61 West Medical Complex Building. We are in Suite #105 of the 61 West Building (pictured above). Call today to schedule an appointment for a cleaning and low-pressure checkup.